(To watch a video, click on the white arrow in the upper right-hand corner of the screen; then click on the Youtube website address, outlined in white on the next screen. That will take you to the Youtube page where you can watch). “Walking the Dark Mile.” (Psalm 23) Rev. Hughes at Northwest Baptist Church, February 27, 2000. “Kadesh-Barnea” (Numbers 14) Rev. Hughes at Northwest Baptist Church, January 20, 2002. “The Cannots of the Gospel” (Matt. 6:13) Rev. Hughes at Northwest Baptist Church, July 28, 2002. “Don’t Die on Third” (Mark 12:28-34) Rev. Hughes at Northwest Baptist Church, date unknown. “Will the Real Man Stand Up?” (Psalm 1) Rev. Hughes at Northwest Baptist Church, June 18, 2000. “A Tale of Two Bowls” (John 13:1-12; Matthew 24:24-26) Rev. Hughes at Lake Drummond Baptist Church, August 3, 1997. “Avarice: Deadly Sin” (Luke 12) Rev. Hughes at Northwest Baptist Church, November 25, 2001. “All Roads Lead to Bethlehem” (Luke 2:1-7) Rev. Hughes at Northwest Baptist Church, December 23, 2001. Rev. Hughes at Northwest Baptist Church, August 27, 2000. “Night of Denial” (Luke 22:54-62) Rev. 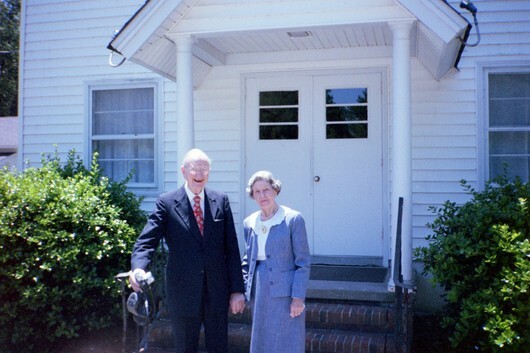 Hughes at Lake Drummond Baptist Church, March 16, 1997. “The Greatest Woman” (2 Kings 4:8) Rev. Hughes at Northwest Baptist Church, May 14, 2000. “Prayer Saves Jabez” (1 Chron. 4:9-10) Rev. Hughes at Northwest Baptist Church, November 26, 2000. “Where Does this Mystery Begin?” (Luke 2:8-14) Rev. Hughes at Northwest Baptist Church, December 24, 2000. “Requisite for the President” (2 Chron.1:7-10) Rev. Hughes at Northwest Baptist Church. “Our Children” (Mark 10:13) Rev. Hughes at Northwest Baptist Church, June 24, 2001. “Going for the Gold” (Hebrews 12:1-14) Rev. Hughes at Northwest Baptist Church. February 17, 2002. “What’s So Special About Jesus?” Rev. Hughes at Ivor Baptist Church, September 17, 1995. Bulletin: Ivor Baptist Church, September 17, 1995. Rev. 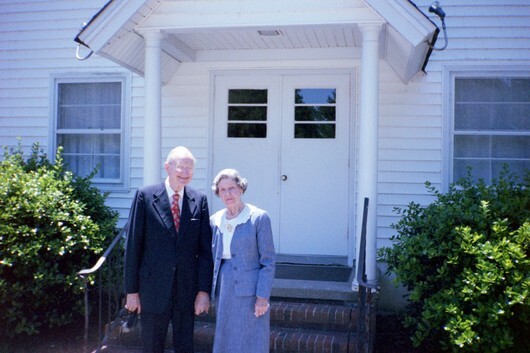 and Mrs. Hughes are honored July 4, 1999, on the occasion of completing his second Interim pastorate at Lake Drummond Baptist Church. Presiding: Willis Bell, Minister of Music.